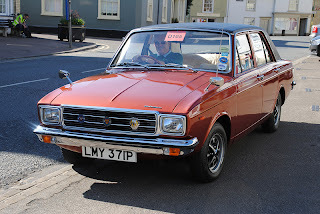 A 1976 Hillman Hunter Topaz. Topaz was a special edition done in this color only, not many left and this being a fine example. Top photos from Trigger's Retro Road Tests! bottom photo by Bob Lovelock.